Leaking pipes and a lack of staff, training and procedures for dealing with gas disasters were all topics of discussion as Massachusetts state legislators questioned gas company executives about the September blasts that hit neighboring towns that left one person dead and dozens others injured. Members of the state Legislature’s Joint Committee on Telecommunications, Utilities and Energy questioned representatives of Columbia Gas of Massachusetts, Eversource and National Grid about the overall safety of hundreds of miles of natural gas pipeline in the wake of September’s gas explosions and fires in the Merrimack Valley. Steve Bryant, president of Columbia Gas of Massachusetts, said the company has accepted responsibility for the incident and is committed to ensuring it won’t happen again. But he declined to answer questions about the company’s policies, citing ongoing state and federal investigations. 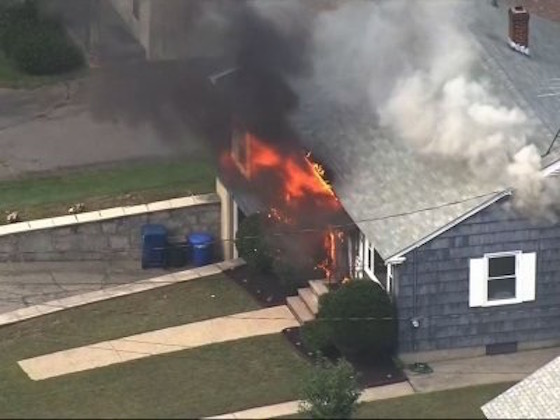 The Sept. 13 disaster killed a teenage boy, injured dozens of other people, damaged more than 100 homes and left thousands without heat or hot water in Lawrence, North Andover and Andover. Columbia Gas and its parent company, NiSource, face federal and state investigations as well as class action lawsuits. A preliminary report by the National Transportation Safety Board determined the company’s failure to account for sensors in planning a routine pipeline replacement project in Lawrence led to the explosions and fires. Lawmakers sought to draw parallels between Columbia Gas’ response to the disaster and the potential for similar incidents along gas systems operated by other utilities. They grilled company executives about why Columbia Gas seems to be hiring outsiders for work on gas line repairs, instead of hiring new staff, and why the gas companies are exempt from a state law requiring engineers to sign off on construction plans. Gov. Charlie Baker has filed legislation that would require all natural gas work be approved by a professional engineer. Matt Beaton, Secretary of the Executive Office of Energy and Environmental Affairs, said the Department of Public Utilities’ (DPU) pipeline safety division has six certified inspectors and is in the process of hiring additional inspectors. DPU conducted 1,177 inspections in 2017, up from 880 in the previous year, he added.